With the help of our charity partner Rose Charities Canada, CSLI has adopted a township called Kalmauni on the neglected east coast of Sri Lanka. Our latest, greatest project is building a school in Kalmunai, Sri Lanka with computer labs to provide online education augmenting their limited public school education to allow more local students to graduate to university and a promising future. CSLI has lent financial support to Sri Lanka floods 2011, Iran earthquake, Pakistan floods, Haiti earthquake through various fundraisers including our successful Friendship Band initiative. CSLI has an established recycling policy for student and staff waste materials starting (2005) and is undergoing a revolutionary energy saving program. 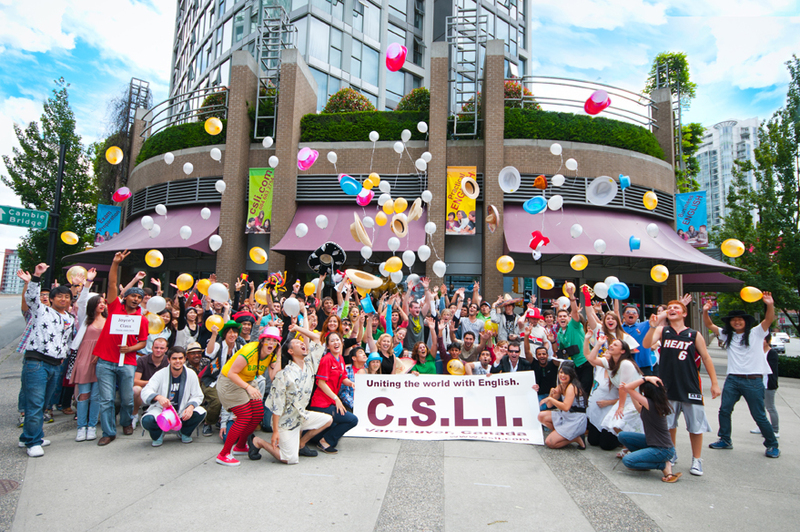 CSLI has been an ardent supporter of the Vancouver and BC community. Here's some of the things we're most passionate about! CSLI supports three scholarship and children support programs, all of which make a education a reality in these children and young adult’s lives. CSLI supports health and sports. At the Winter Olympics in Vancouver (2010) CSLI students volunteered as Vancouver hosts during the games acting as translators and community support. Uniting the World (UTW) is the charity arm of Canadian as a Second Language Institute (CSLI) – an English school in Yaletown, Vancouver, British Columbia, Canada. These projects are the creation of CSLI over the last 20 years, and it is our way while “uniting the world with English”, of showing that we can each make a difference. If CSLI is what we do, then UTW is the heart of who we are. Just ask anyone who has come to our school, including the tens of thousands of students from over 100 countries, the dynamic teachers and staff, caring homestay families, and dedicated support services agents. And through our facebook community we stay in touch. Many meaningful encounters at CSLI have taught us that we are not all that different. Many of us are lucky enough to have traveled and met people from other countries & cultures and we have come to realise that not everyone has the same opportunity for education. Our mission is to nurture greater tolerance & understanding between cultures and create a world that is a little smaller & better connected. CSLI & UTW have also formed a formidable partnership with Rose Charities Canada (registered Canadian charity#859442303RR0001) with joint projects in tsunami & war-torn Sri Lanka. All charity efforts are done in a professional & dignified manner where 100% of all funds raised go directly to those in need. We have no religious or political affiliation and have had great success. CSLI congratulates Anthony and all the people of Kalmunai on 10 years of hard work and success.We are so proud of you, love from Lawrence & Lori-Ann and all the staff and students of CSLI.